The last few weeks I’ve talked about how to get yourself out of debt, We went through the steps of “finding out what you owe” and “creating and implementing a budget“. Today I’d like to talk to you about how to follow up once debts are paid, and how to keep yourself from getting in the same position again. You’ve worked hard to get all of that debt paid off. Don’t let all of that hard work not be rewarded. Go pull a new updated credit report. Double check EVERYTHING! Do you see anything on there that should have been removed? Do you see anything new? If so, jump on it, immediately! You have your “Budget Binder”, to prove that those bills are paid, AND you have a record of all communication. You’re prepared, and by this point, you’re comfortable with standing up for your credit! Once you’re credit report is “Clean”, make it a habit to pull your credit report once a year to watch for discrepancies. 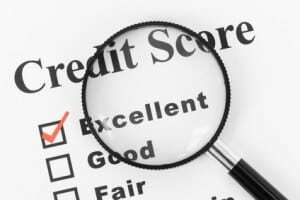 Once a year you can obtain a free credit report from all three credit bureaus. You’ve pinched pennies for the last year or two. You are debt-free! You’re credit report shows how hard you’ve worked at this, and the numbers will start to reflect it. Credit companies will start to notice, too. The credit card offers will start rolling in. You’re bank will start offering loans. STOP!! Do NOT let yourself get pulled into the same situation you just got yourself out of. Think things through. Anything good is worth waiting for! I can almost guarantee that by saving for your new purchases, that purchase will be twice as rewarding. You are buying it guilt-free! Now, don’t get me wrong, having one credit card, is not a big deal. Having that one card, will help to build your credit. I suggest using it once a month, to keep it actively reporting to the credit bureaus. Wait until the bill arrives, and pay it. This positive activity will show on your credit report. I do, however, recommend a card you’ve researched.